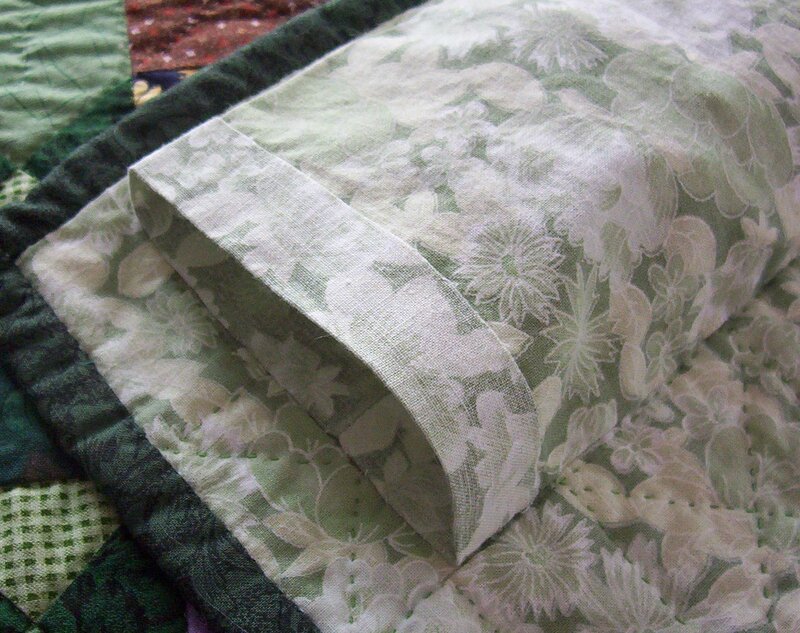 This sleeve design protects the quilt from the rod and the “pooch” helps the quilt hang flat. Photo by Barb Gorges. Over the last 30 years the quilting community has developed a nearly standardized tube-type sleeve for hanging quilts, protecting the quilt from the rod, and with less distortion. Perhaps using leftover fabric from the back of the quilt, piece a strip of fabric 9 inches wide and as long as the width of the quilt. If it is for a king-sized quilt, cut the length in half to make two sleeves, allowing for a middle rod support. Hem the short edges by turning under ½ inch towards the wrong or right side, pressing, and turning under again. Stitch in place. Match the two long edges with wrong sides together and stitch using a ½-inch seam allowance. Press this seam open and at the same time, flatten the tube so that the raw edge of one of the seam allowances is just a little short of one of the folds. Rearrange the tube to press another parallel fold that is on the other side of the seam allowances, and 3 inches from the fold closest to the seam allowances. On the quilt, mark a line across the back 1 to 2 inches below the top edge of the quilt, and another line 3 inches below the first line. Center the sleeve, matching the folds closest to the seam allowances with the lines and pin in place. Use either a whip stitch or a large version of your favorite applique stitch to sew along the pinned folds, catching generous amounts of the quilt backing and batting. Also sew down the parts of the ends of the tube that are against the back of the quilt. Use your imagination for ways to support the ends of the rod. A rod can be cut almost the width of the quilt to hide it, or a little longer, for insertion into decorative brackets. Scroll down to read the first six parts of this series. 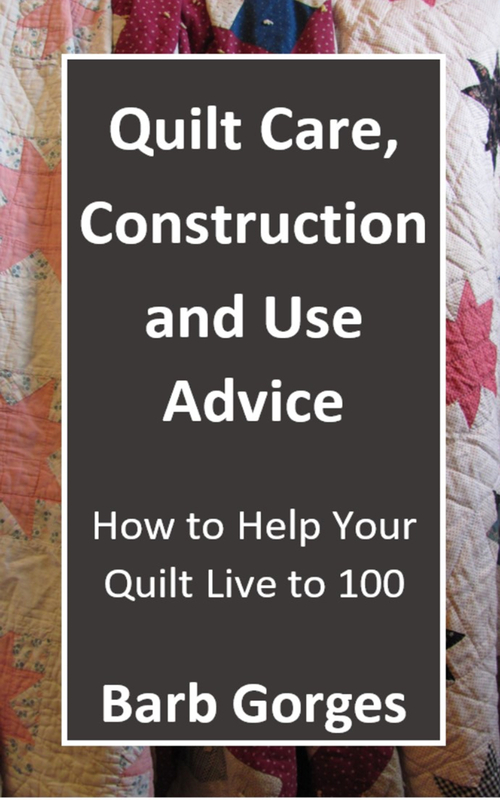 More detailed sleeve instructions are available at this website, on the “Quilt Care Tips” page.